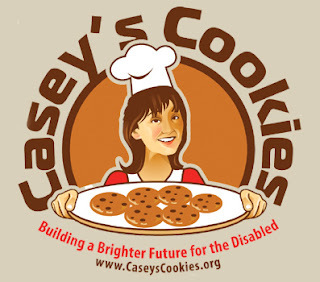 The mission of Casey's Cookies is to promote independence and improve the quality of life for developmentally and physically disabled adults through training and employment, and to develop a residential community in the Tampa Bay area where Casey's Cookies employees can live and work in a safe and nurturing environment. Bob ~ A little behind since my computer was down. Hey I could fit in very well with this cause. BTW thanks for the link for the virus protection. I have "Trend" and it expires 2/23/ll, so I appreciate your advice. Don downloaded it on his computer.